I'm a total product junkie. I love to try new products and am always on the hunt for the best! 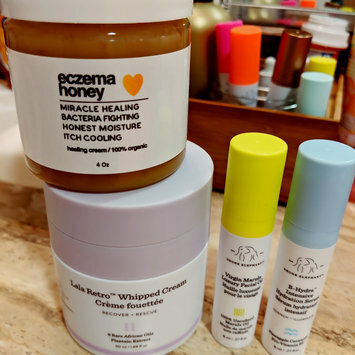 It's very rare for me to stick to one thing but when I do it means it's absolutely perfect for me :) Got skincare nailed but the hunt is still on for the perfect foundation and hair products. This was an okay carseat. It was my first one and I didn't really know what to look for. After using it, I know what I don't like in a carseat. This one has a rethread harness which I found to be a HUGE pain and it's a deal breaker for me now. 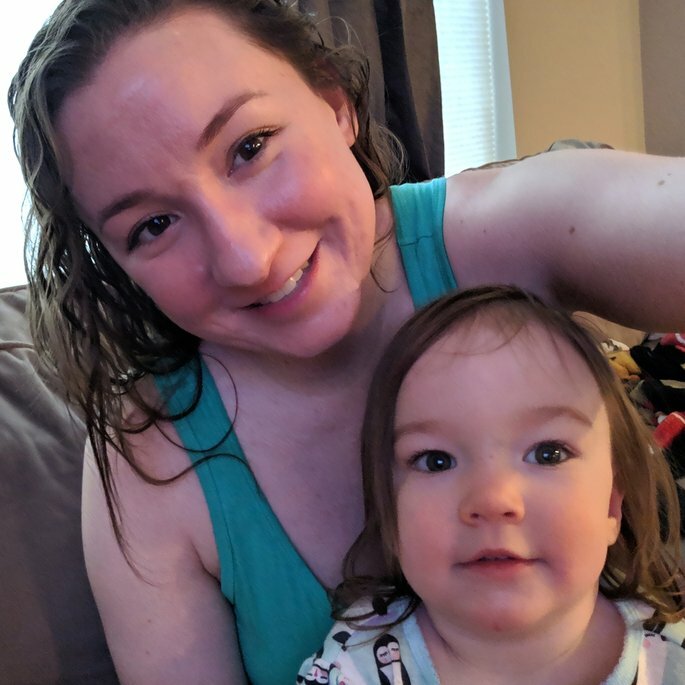 I also felt that the fabric on this wasn't soft or breathable and the shoulder pads were the same... Needless to say my daughter hated it, she always looked uncomfortable and was always sweaty when she came out. It served its purpose but was pricy for such a basic seat. When we moved on to a convertible seat we went with Britax and love it. If I get Chicco again it would be the Fit2 because it has none of the issues I mentioned, plus some bonuses. But we may go with the Britax infant seat this time around. 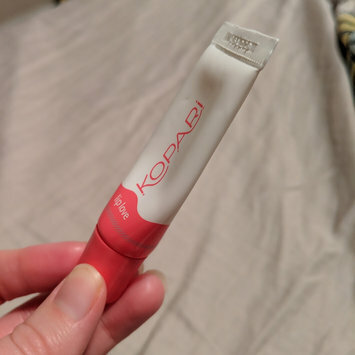 I don't think I have ever reached "empty tube" status for a lip product in all of my existence. I also have one by my bed, one in my purse, and one at work so I think it's safe to say I need this in my life... And I HATE lip stuff. It's hydrating, not sticky, not overly glossy (unless you want it to be, then apply more), smells great, no weird taste, the list goes on. Buy it. I have a bit of a love/hate relationship with this product. The shade (00) is a great match for me, I love the clean formula, how a little goes a long way, no fragrance, and the finish is glowy and not cakey or fake. I don't like that I feel like it takes some work (more than I'd like) to apply and it seems like it is drying my skin out. I've read that some people have this reaction to coconut oil which seems weird but I also MIGHT have some issues with beeswax. My skin can get pretty oily but I don't feel like this makes it worse and I have had no issues with it "sliding off" even without using a setting powder. No issues with breakouts either which is always great for me! Being a product junky, I rarely finish a product and therefore rarely repurchase a product. I'm proud to say that I just purchased my 4th jar of this moisturizer. It is hands down the best I've tried. It is very hydrating without being greasy, causing breakouts, or interacting with makeup. I've noticed a huge improvement since switching to Drunk Elephant and Lala is definitely my staple. It's pricey, but a jar usually lasts me about 3 months and it's actually more cost effective for me not wasting money on products that don't work. No fake coconuts here. If you want to smell like a legit tropical vacation, this lotion is for you! I don't wear lotion often (because I am obviously too lazy to not be miserable) but when I do, I reach for this. The only downside is that they forgot to send me the pump, so (being lazy) I use it less than I would if it had a pump. Super easy to spread and not heavy or greasy while still being moisturizing. I recently discovered these wipes and LOVE them! They have a nice natural, light coconut scent and are gentle and moisturizing. I love that they are multi use, great for cleaning stubborn food off of my toddlers face but gentle enough to use during diaper changes. I contacted Seventh Generation asking why I couldn't find these anymore and they said they were discontinued due to poor sales!!! If you enjoyed these as much as I have, please contact Seventh Generation and tell them to bring them back! There is truly nothing else out there like these. My 12 week old has never done well with formula (Simliac - gas, constipation, fuzziness, etc.) so when I went back to work and started having trouble pumping enough, I decided to find a formula I could supplement with that wouldn't upset her tummy. Compared with the leading brands, the ingredients in Gerber are more impressive. The first ingredient is whey protein whereas in some of the other brands it's corn syrup... I like that this has "small proteins" that are easier to digest and probiotics. Let me tell you... She drank 6oz of this stuff last night and had ZERO issues. She fell right asleep as usual and her bowel movement this morning was totally normal. Thank you Gerber! I got a different brush as a shower gift and it was meh. I read the reviews for this and decided to try it. It works great! It really gets in and cleans bottles and the bristles are soft. It can also go in the dishwasher to be sanitized. My roots get VERY oily and my mid-lengths and ends tend to be dry, so I've had some trouble finding a cleansing conditioner that made my hair look clean for more than 6 hours. I read lots of reviews on this one that said it made people greasy... well, I've used it for 3 days in a row now and my hair looks just as clean as when I use regular foaming shampoos (if not even cleaner!) Maybe I'm just really working it in and rinsing it out really well but, as I said, I'm super oily and this seems to have actually reduced my scalp oil. I also use it every day, I've never been able to skip washes even with regular shampoo. I'm starting to wonder if I could get away with it now though. Anyway, I also love the smell of this more than any other co-wash I've tried, my hair is easy to comb, and it does seem lighter and like it dries faster. Today, I used this, combed, air dried, and curled my hair and it stayed bouncy and curly ALL day with NO other products. I only took one star off because I FEEL like it doesn't hydrate/de-frizz my ends enough. They look fine and all that, just feel like I could use some more smoothing/anti-frizz action. But, I like it enough that I just bought the full size.